I have to admit it isn't very often these days that my kids will sit down and watch "normal" TV, they are more than content scrolling through videos on You Tube but sometimes a programme will come along that will catch their eye and have them watching it for what seems like hours to me. 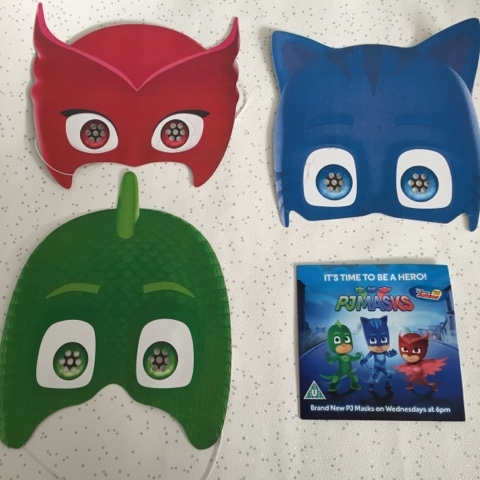 And that is just what happened with my youngest two when we were kindly sent a preview DVD of a brand new kids show, PJ MASKS. 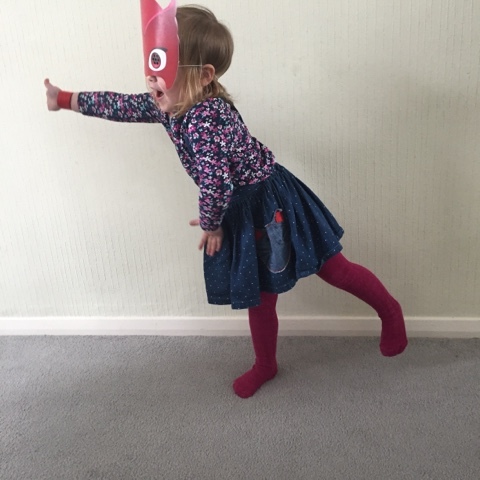 This animated series is brought to you from the same company behind Peppa Pig (if you haven't watched you've at least heard of it), it has recently launched in the UK on the Disney Junior channel and it certainly set to appeal to all your mini super heroes. Have you ever inagined what it would be like to have your own super power? Or maybe you've wondered how it would feel to turn into a superhero every night when you put your PJs on? Well PJ MASKS is here to take you inthe night to save the day! By day 6 year olds Connor, Amaya and Greg go to school just like everyone else. 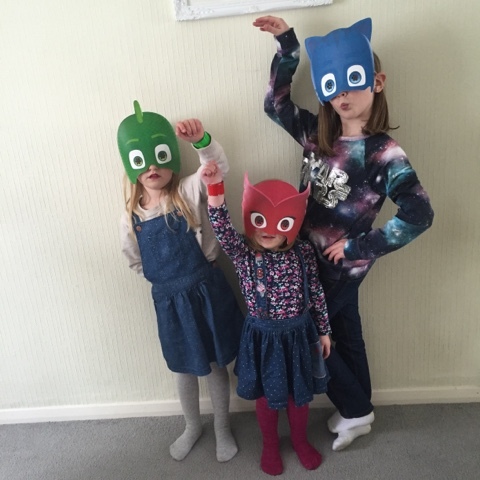 As night falls and they put on their pyjamas and activate their animal amulets, they magically transform into superheroes - Catboy, Owlette and Gekko and become the fantastic PJ MASKS team. 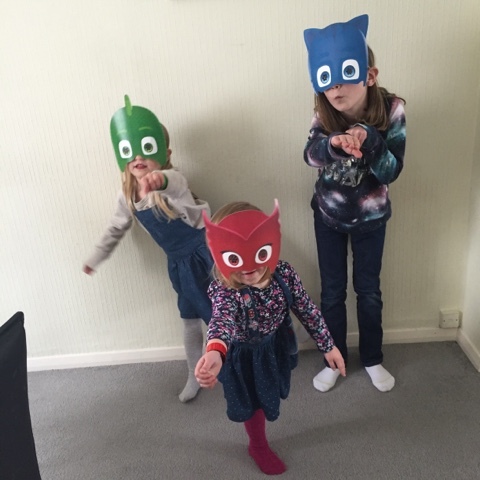 Along with the DVD my girls were also sent a set of masks so they could dress up as superheroes too and they took to their roles quite well, ready to save me from the clutches of evil apparently. I asked them all what animals they'd be and they all said a cat, thinking big there. The show had them glued to the screen, I was rather enjoying the peace and quiet that it induced. Problems seemed to arise during the day ready for the PJ MASKS to solve when night time descended. As a parent I enjoyed it as there was plenty for the kids to be learning and taking on board whilst watching the cartoon. From problem solving and sharing ideas to recgnising a person's strengths and weaknesses and learning to work together as a team. And of course I think it went to show that anyone can be super! I suppose if I wanted to be fickle I'd say bedtime wasn't the best time to fight crime as they should be sleeping, you know so that they'd be ready for school the next day ;) but those bad guys wait for no one! If you fancy letting yout children having a watch you catch new episodes every Wednesday at 6pm on Disney Junior.